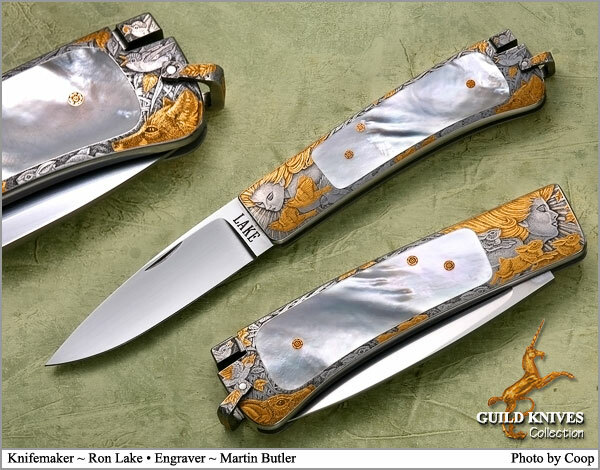 Martin Butler was a rare gift to artful knife engraving. His iinterpretation of the grace from heaven presenting the endearing animas of nature is reminiscent of a Renaissance painting. A bit awing in it's complexity, requiring time to study the many intricacies of this presentatsion. Rather a modern Sistine Chapel burst of life in feelilng. 24K Gold throughout.